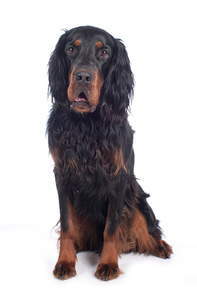 The Gordon Setter is a large breed from the same family of Irish and English Setters. The exact origin is unknown, but it is most likely the result of crosses with the Old Land Spaniel and Pointers in the 1600's. It was used in the field to track, point and retrieve game birds, such as Partridge, Pheasant and grouse. The Gordon setter is an athletic dog who is devoted to its owner. They are loyal and loving and want to be around you all the time. Younger dogs can be a bit bouncy around children, but it's only because they want to play. They make wonderful pets for an active family and are very good with children and other pets, but can be reserved with strangers at first. As an active breed they need to be kept busy and are tireless when out walking. They love to run and are quite responsive with recall, but their independent streak can sometimes kick in and they'll wander off in search of something, following their nose. Gordons need firm, yet gentle training, are generally attentive and willing to learn. They are slow to mature and don't really 'grow up' until they are around 3 years old. They are a bold and fearless breed, with a constantly wagging tail, that thrive on human contact. To keep them mentally stimulated, obedience, Flyball or any form of competition will help tire them out. As long as they are with you, they'll be happy. They were bred to run and need the chance to let off steam; a safe enclosed area is best as they aren't road savvy. If they don't receive enough exercise, they soon become bored. A dog with high energy levels and boredom don't mix well and they can become destructive. They have a strong temperament and are independent thinkers, making them stubborn at times. 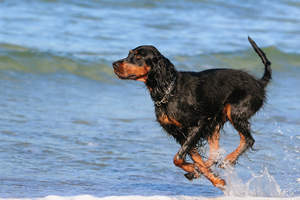 Forcing a Gordon Setter to do something will damage them. They can be sensitive dogs and react badly to extra firm training. 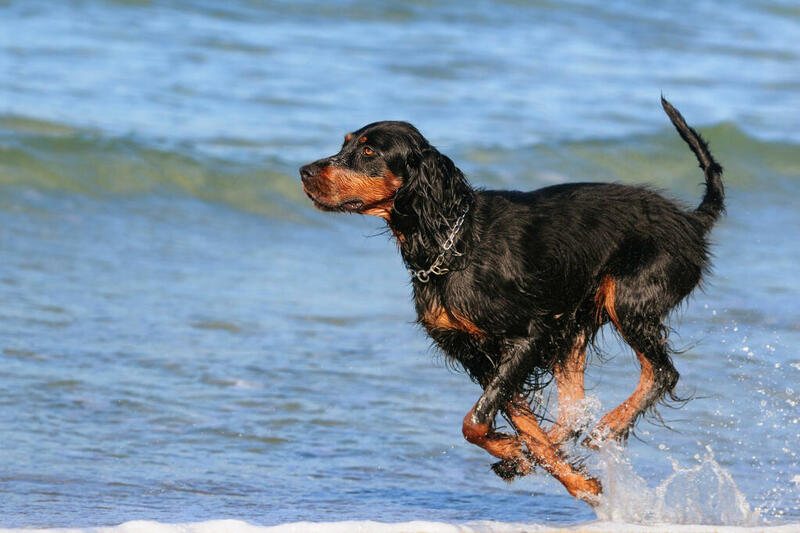 They make great running partners and this strengthens the bond with their owner. 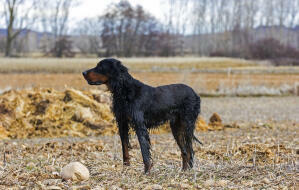 Gordon Setters can be very vocal and not just with barking. They will let you know exactly what they want in a variety of verbal ways. Gordons needs brushing 2 - 3 times per week, paying extra attention to the 'feathering' around their tummy, legs, chest ears and tail. 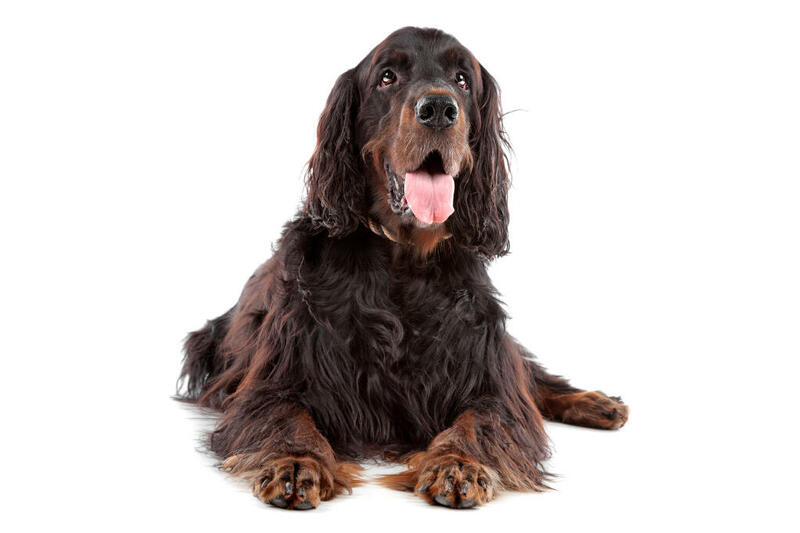 Being the largest of the Setters, they are actually less prone to Canine Hip Dysplasia, but are at higher risk of Blaot, Progressive Retinal Atrophy (PRA) and cataracts. 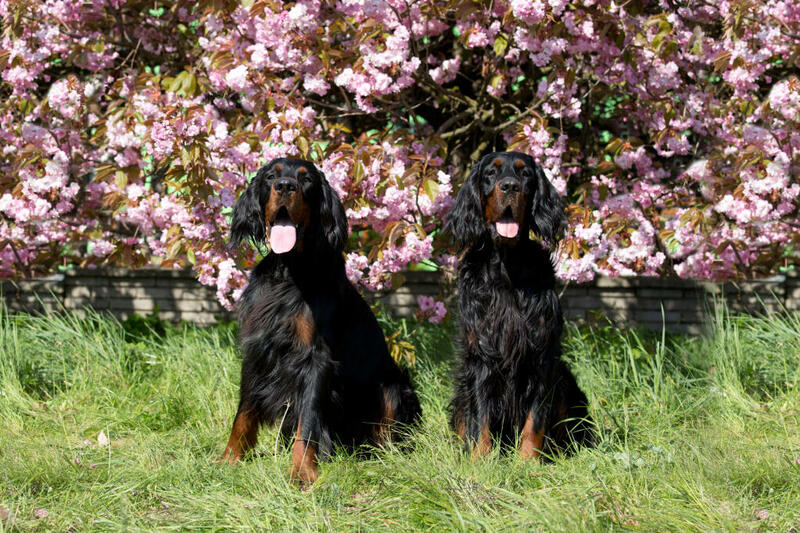 The Gordon Setter has an elegant and sensible temperament for a Setter. 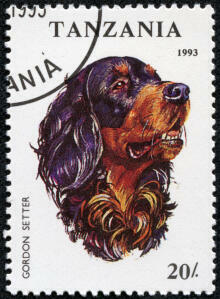 Like all Setters they can be lively and enthusiastic but the Gordan is more alert and protective towards his family. They love one on one attention and will form tight bonds with their family. This can also make them reserved towards strangers and sometimes aggressive towards or jealous of other dogs. Health problems that may affect Gordon Setters include canine hip dysplasia (CHD), elbow dysplasia, bloat and progressive retinal atrophy (PRA: degeneration of the retina which can lead to blindness).